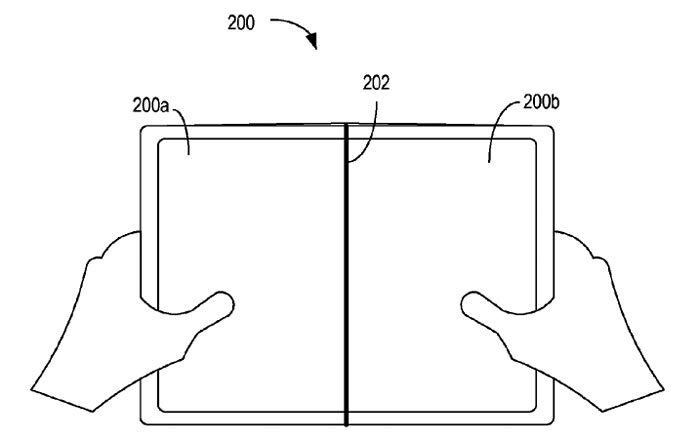 Over the weekend it was revealed that Microsoft has been awarded another patent for a foldable portable device. Back in January Microsoft got a patent for a 2-in-1 foldable that transformed from a phone into a tablet with stand. The new patent shows some views of a similar folding device, this time with an idea of scale delivered by the technical drawings including human hands. Korean sources let the cat out of the bag last December with reports that Microsoft, Google, and Apple were working alongside LG display on "out-foldable" displays. LG had apparently reached the stage in the development process that it was happy in the technology and performance of such displays for building into prototypes from third parties. The high-tech trio of early adopters want to be seen as innovators so will race with each other to get a foldable product launched suggested the source. Meanwhile LG has published some foldable device patents of its own. The new patent featured in this weekend's report by Phone Arena includes a pair of images (above) showing someone holding a paperback novel sized device. 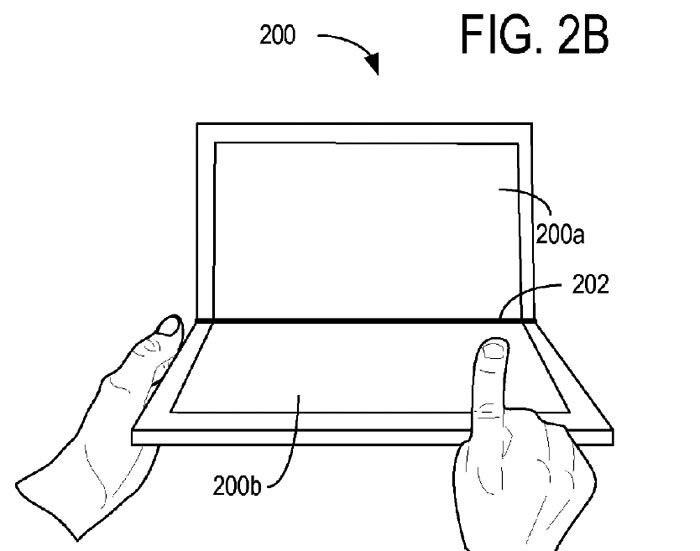 In one image the hinged device is held open like a book, in another it is orientated like an opened clamshell laptop with the user touching the lower screen. To me this doesn't look like a 'Surface Phone' but a hinged portable display panel with some touch capability options. This could be a good smartphone, tablet or other portable computing solution companion. Uses might be as with any second screen, for presentation sharing purposes, or collaboration. 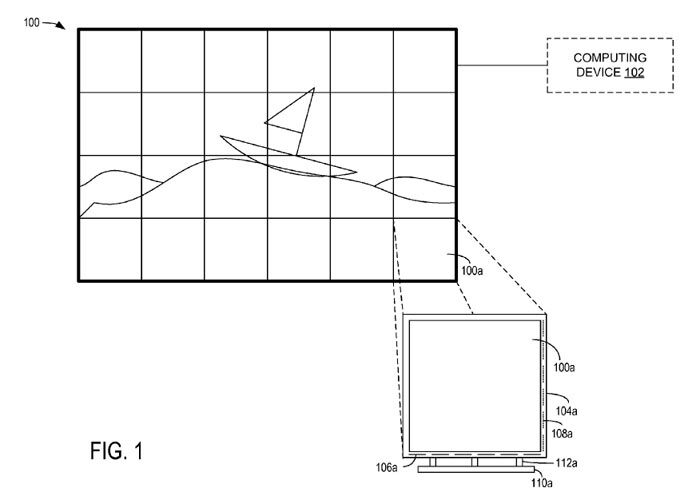 Looking through the patent there is also an idea for a large display made up of several display tiles (figure 1, directly above). The appeal of such a system grows as the borderlines between tiles are minimised. In related Windows phone news, Microsoft has removed all Lumia phones from its UK store. The only Windows smartphones available there now are the Acer Liquid Jade Primo and the HP Elite X3. The end of the line for Lumia could, for the most optimistic Windows Phone fans, be a sign that the introduction of the Surface phone range isn't far off. All I read from this article was Lumia is dead and I am now awaiting Surface phones! Please let this be a thing. The tie in between my phone and Pc far is amazing and really increases my productivity. Is this another of those bendable, rollable, foldable screens of which we keep seeing working prototypes but never a CV?